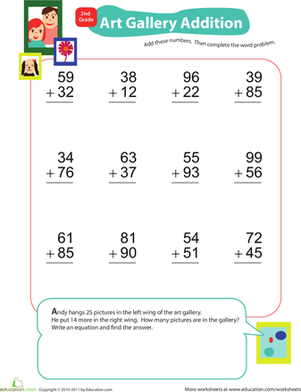 Ask your child to complete adding double-digits, and then solve a challenging, art-gallery themed word problem. 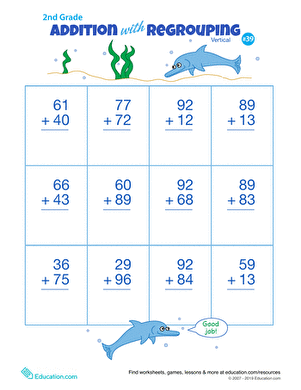 She'll boost her knowledge of addition and her mental maths skills! 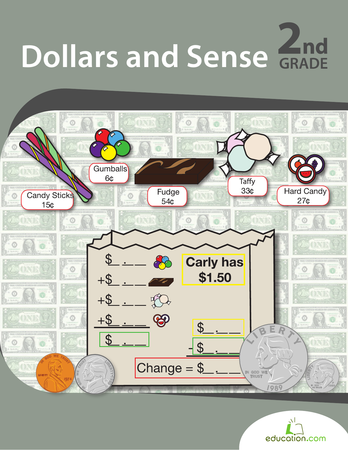 For more worksheets like this, make sure to check out the rest of the Add & Carry series! 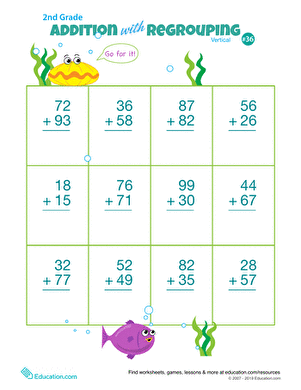 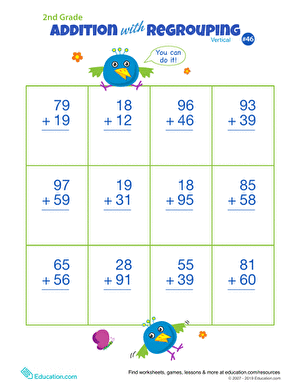 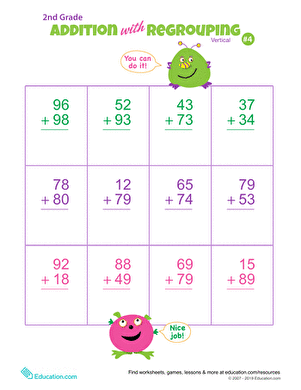 Let this cheery, colorful worksheet cheer your second grader on as he practices double-digit addition! 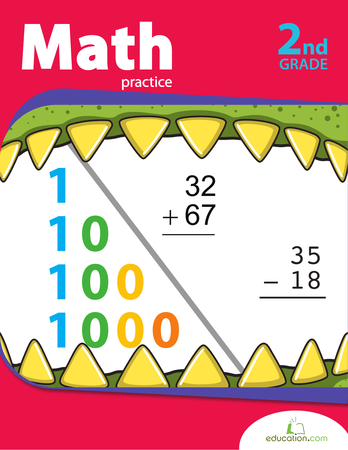 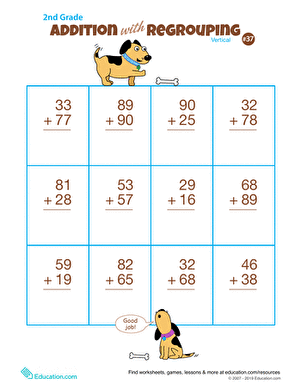 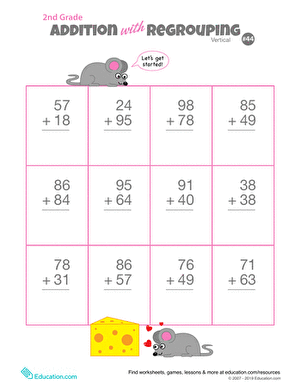 The more your second grader exercises their maths skills, the easier double-digit addition will become.